Soumya opened her eyes after her sleep got over. Rudra:You know,you look very cute,But I never thought that you are so hot and chilly like the food you eat.Yesterday night you were very spicy. Rudra:What happens when a girl and a boy are together alone in a room?That happened between us. He removed the buttons.There were lipstick marks. Soumya:How did this happen?How could I do such a cheap thing? I feel ashamed of myself.I hate myself. Her tears touched his heart.He felt sad for her. Soumya stared at him angrily:Why did’nt you stop me when I was doing the wrong thing?Oh..you are the biggest womanizer in this world.You love to be with many women.You must have been happy and took advantage of my state.Now happy? Rudra lost his control and blasted at her:Stop it. He came back to senses and controlled his anger. Rudra held her hands:Please don’t cry Soumya.Nothing happened last night.I was just making fun of you.I just used your lipstick to make these marks on my chest. Soumya looked at him with relief:Are you saying the truth? Rudra:Yes.I know that you consider me as a dirty womanizer.But believe me Soumya…I flirt with girls.But I never crossed the boundary.I am also an Indian.I know Indian values and I know what dignity,self respect and honour matter to Indian girls.I can never be so cheap to you Soumya.I can never do it with any girl. Soumya looked at him emotionally:Please don’t tell such lies Rudra.It wounded my heart.My heart broke into pieces. Rudra:I am sorry Soumya.I promise you that I will never crack such jokes. Rudra smiled seeing her smile. Rudra:Get ready fast.We have to catch our train.Otherwise we will miss the train again. Rudra and Soumya caught the train and reached Zurich. They contacted the others and joined them at a particular place. Rudra:Ya…I am back to you all. Soumya’s friends hugged her:Now only we are relieved. Soumya:Yes.Rudra took care of me very well. Anika smiled while Shivay was stunned. He whispered to Anika:Rudy looking after a girl?Is’nt it strange? Shivay:I mean…caring towards one girl…after reaching back he has not even looked at Soumya’s stylish friends. Anika:What if Rudy is in love with Soumya? Shivay was stunned:Rudy in love? Anika:Remember we told him that if he falls in love he won’t look at anyone.Is that happening? Shivay and Anika noticed Rudra looking at Soumya and smiling. They all had sight seeing. Shivay Anika,Soumya,Rudra and their friends were having food in the restaurant. Rudra:So your finished your exam.What’s the next plan?Going to work here or…? Soumya:No…not here.I may work in India if my husband’s family supports. Soumya:Ya.My marriage is fixed with my father’s friend’s son Prem Bharawaj in India. Rudra:He is in India.Then how did you meet him and fall in love?Through online chatting? Soumya:No,it’s an arranged marriage.But I know Prem.I have met him a couple of times. Rudra:That means you don’t love Prem? Soumya:But after marriage love will happen like in any arranged marriage. Rudra thought:Only if the wedding takes place love will happen.Right?What if the wedding does’nt take place?Why am I dreaming too much? Soumya:What is your plan Rudy? Rudra was surprised to hear her address him Rudy. Rudra:You called me Rudy for the first time.It sounds sweet. Soumya:Ya.Actually all your dearest ones call you Rudy.So I thought I will also call you Rudy. Rudra:Means you have become my dearest one.Right? Rudra:It’s true that you have become my dearest friend. She smiled happily.He was lost in her smile. Rudra:You know..when you smile you look prettier…because you have got a beautiful smile. Soumya:Rudy…I think you are not that nasty as I thought.You are actually very nice. He smiled:Thank God…at least you have a good opinion about me now.That is more than enough for me.I am happy that you are impressed with me. Soumya:But why do you want to impress me? Rudra rolled his eye balls on her deeply. Rudra:Anyone will try to impress their special person.Right? Soumya:You mean I am special for you? Shivay:This is the last day of enjoyment guys.Let’s party. Rudra’s friends:Cool.When Rudy said that you are a cool brother we never expected this much. They conducted a small party and enjoyed eating and cracking jokes. 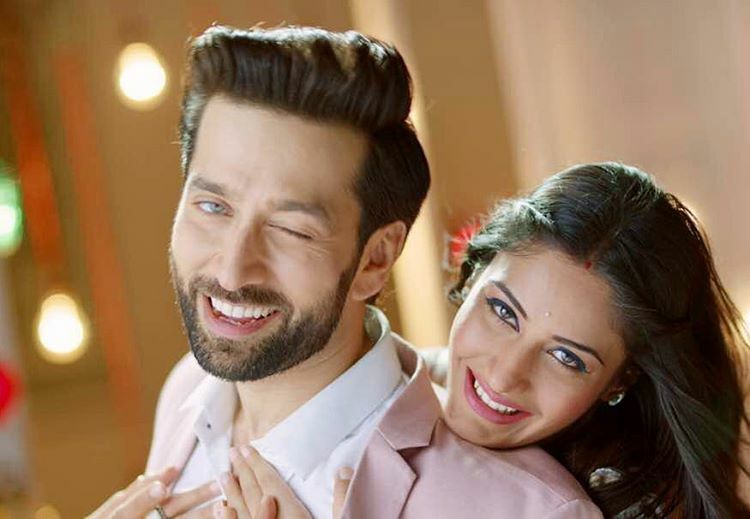 Shivay-Anika:It’s time for music and dance guys. Shivay Anika and Rudra’s friends danced. But Rudra and Soumya were not dancing. Rudra sat at the backyard silently.Soumya went there in search of him. Soumya:Why are you not dancing Rudra?You are usually a party bird.Right? Rudra:I don’t feel like partying.Not in a mood to enjoy.I feel that I am losing someone very special. Soumya looked at him emotionally:Someone special?Whom? Rudra looked at her deeply:You are that special person Soumya. awesomest update..will be waiting for the next..